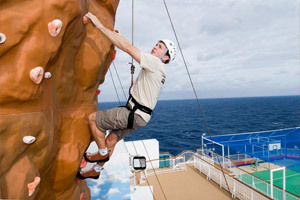 Norwegian Pearl offers a variety of cruises, including Alaska, Caribbean and Panama Canal cruises. So, whether you're looking for an exotic and tropical cruise or a chilly and adventurous cruise, this ship is a fantastic option for everyone! With NCL's Freestyle Cruising concept, you're able to eat where you want, when you want, with whomever you want. 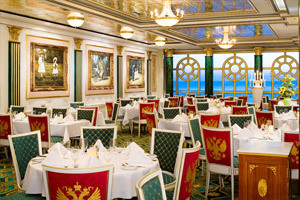 This type of cruise combines with the 24-hour room service and 16 unique places to eat, to create a wonderful vacation with lots of freedom and choices. Also on board Norwegian Pearl are 13 bars and lounges, including Spinnaker Lounge (featuring a dance floor) and Bliss Ultra Lounge (the ship's main night club). In February 2017, Norwegian Pearl emerged from an intensive dry dock as a part of the fleet-wide Norwegian Edge™ imitative. Enhancements included newly redesigned public spaces, new venues, refreshed décor in all staterooms, a revamped pool deck and an expanded video arcade. Guests will find onboard a modern, updated look with contemporary designs, furniture, new lighting and flooring! 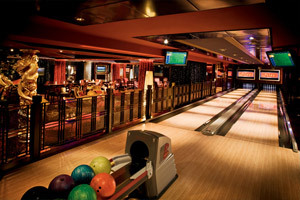 As far as entertainment and activities go, Norwegian Pearl was the first cruise ship to feature a real bowling alley on board. 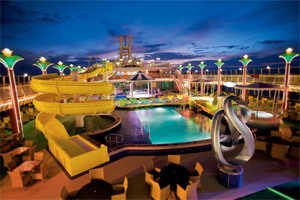 Also on this ship is a rock-climbing wall and swimming pools. 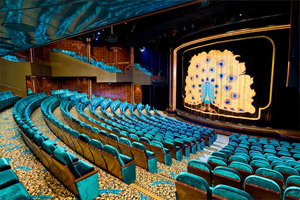 There's even a huge 3-deck show lounge (Stardust Theater), which is where you can watch a fantastic live performance during each night of your Norwegian Pearl cruise. Among the possible performances are Broadway-style production shows, comedians, singers, dancers, magicians and acrobats. There is a wonderful variety of updated accommodations available on board Norwegian Pearl. Among the options are inside, ocean view and balcony staterooms, as well as luxurious suites, The Haven Courtyard and Garden Villas. 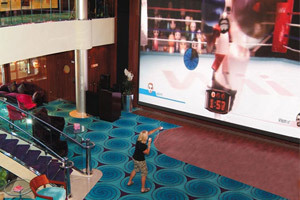 Norwegian Pearl happens to be a very family-friendly cruise ship, as it has many connecting staterooms and suites. 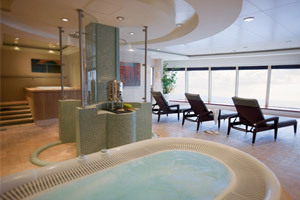 While on a Norwegian Pearl cruise, indulge yourself and enjoy a spa treatment. Just a few of the many treatment options in the spa is a massage, facial, body wrap and acupuncture. For those looking to experience true luxury at sea, there are the Norwegian Pearl's suites in The Haven, an exclusive area of the ship just for guests staying in such accommodations. The finest amenities are provided, including a secluded courtyard (with pool, hot tub, and fitness area), preferred seating at NCL's award-winning shows on board, the services of a concierge, and 24-hour butlers. 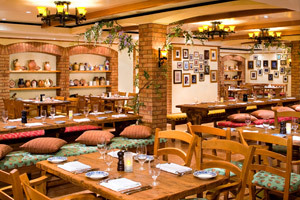 For breakfast and lunch, you can choose to dine in a private restaurant reserved exclusively for guests of The Haven. You will be treated like a VIP throughout the cruise. This hip complex includes a mood-lit four-lane bowling alley, sports bar and night club. It's one of Norwegian Pearl's definite hot spots, especially at night! Feeling lucky? 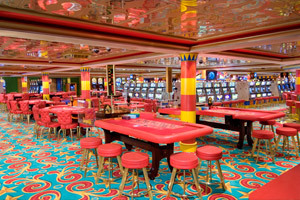 Try your hand at one of the many games in Norwegian Pearl's casino. Among the games to play are blackjack, roulette, poker, Let It Ride® and craps. Low Price Guarantee on all Norwegian Pearl Cruises! Book any Norwegian Pearl cruise with us and you'll get the best deal possible, regardless of the ship or sail date! 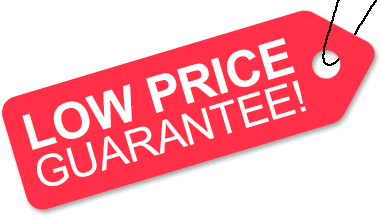 Because of our "Low Price Guarantee," nobody beats our Norwegian Pearl cruise prices, so look around and you're sure to find the best NCL cruise deal possible when booking with us! 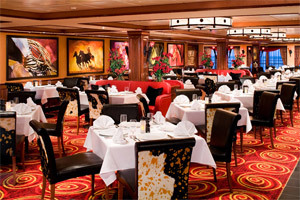 Pre-Paid Gratuities on Norwegian Pearl Cruises! Get an Onboard Credit when you book a Norwegian Pearl cruise with us. The value of the Onboard Credit depends on the particular cruise and accommodations you book. Onboard Credit values are listed on Step 3 of the online booking process. We do not charge booking fees on any cruises! You're sure to enjoy an affordable Norwegian Pearl cruise when booking with us! Military Discounts on Norwegian Pearl Cruises! We have very special NCL cruise pricing available on select sailngs, for active and retired/veteran members of the U.S. and Canadian militaries. When available, our military discount can only be booked over the phone - book your Norwegian Pearl cruise with us to save! Certain restrictions apply. Our special offers on Norwegian Pearl cruises may not be combinable. Certain restrictions apply to each offer. View terms and conditions during the online booking process. Click a price below to view the Norwegian Pearl cruises during that month in that destination. These staterooms are perfect if you want to bring the whole family. With room for up to four guests, there are two lower beds that convert into a queen-size bed and a convertible sofa sleeps two more. Also includes a sitting area and floor-to-ceiling glass doors that open to a private balcony. Some of these staterooms are connecting.